Oh my. 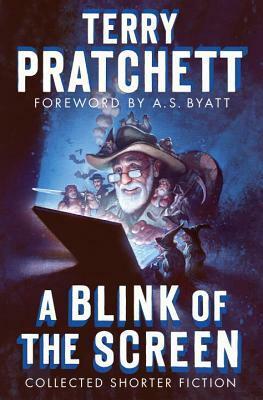 This is a wonderful collection of Terry Pratchett’s short fiction starting with his first published work when he was only thirteen, through his time with Bucks Free press, and on to the Discworld. The early works are very good, but rather conventional. The off the wall humor starts in the mid-1970s and continues to get wilder and wilder. I must admit that I have not read the whole book. I eagerly dove in, happily greeting Merlin the wizard (oops, it’s Mervin, sorry) ,Cohen the Barbarian, the witches Granny Weatherwax and Nanny Ogg. When I came up for air, I realized that these are too good to consume all at once. When I get a box of chocolates, I make them last, eating one only when I feel that I must have it to get through the day. So I decided to ration my Pratchetts, reading one only when I feel that I must have it to get through the day. Highly recommended for anyone who needs a good laugh.